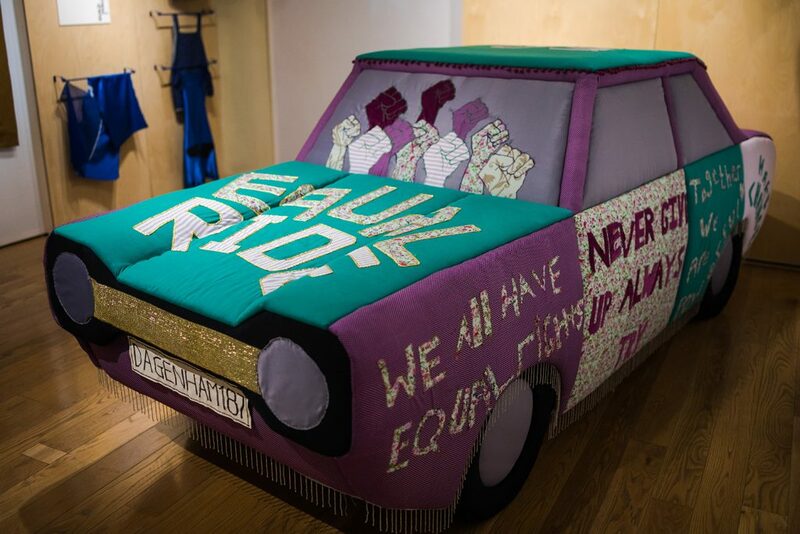 Equal Ride is the commission for working with year 9 students in Barking, London on their local history ‘Dagenham Strike (1968)’. 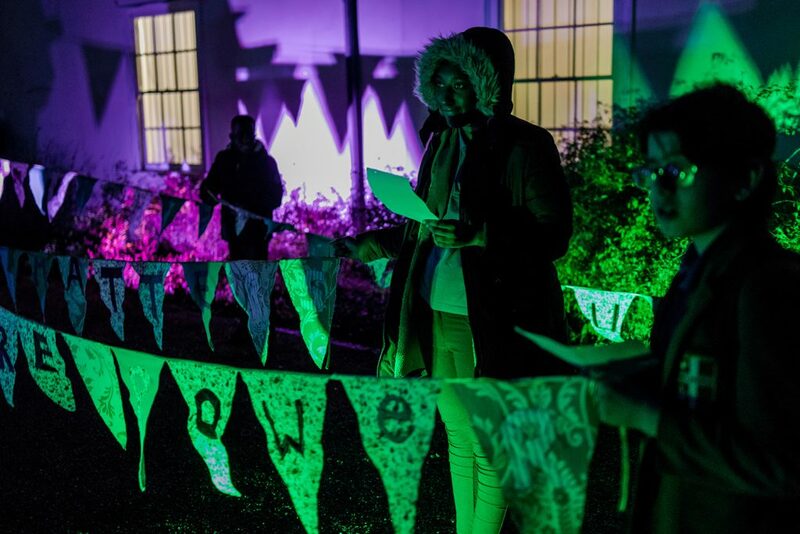 A series of creative workshops were set up for reflecting the history in contemporary terms and for discussing on the power of the act of small minority groups and the importance of solidarity, applying these dialogues to the media of protest –a parade car, bunting and union songs. 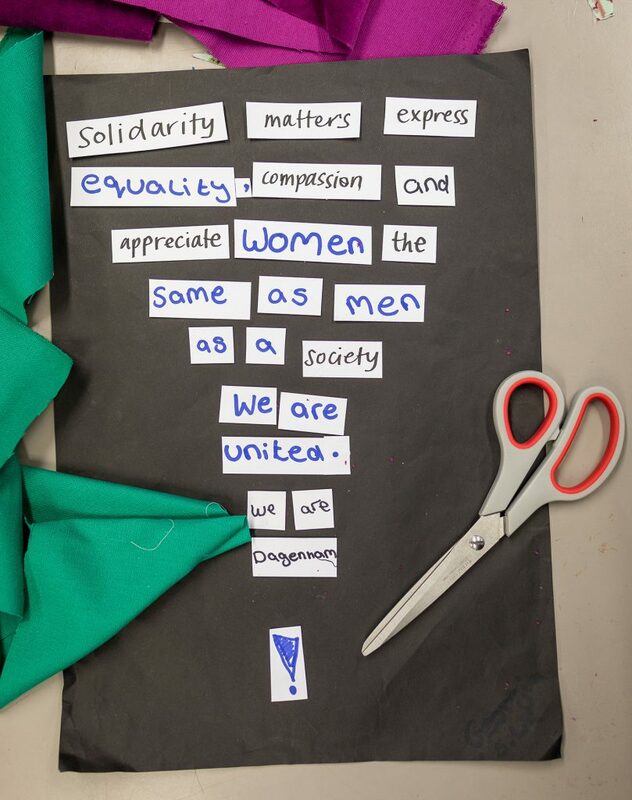 Participating students were engaged in the conversations making the connection between their everyday unfair situations and this particular history. 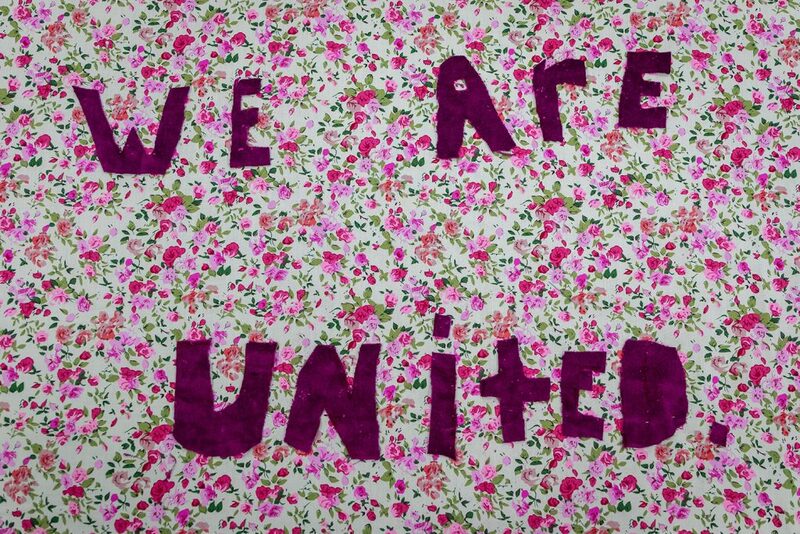 They created slogans and song lyrics through the themed poetry writing session, applied them to the fabric patches for the parade car and bunting, and rewrote/performed the union anthem ‘Solidarity Forever’ in public. 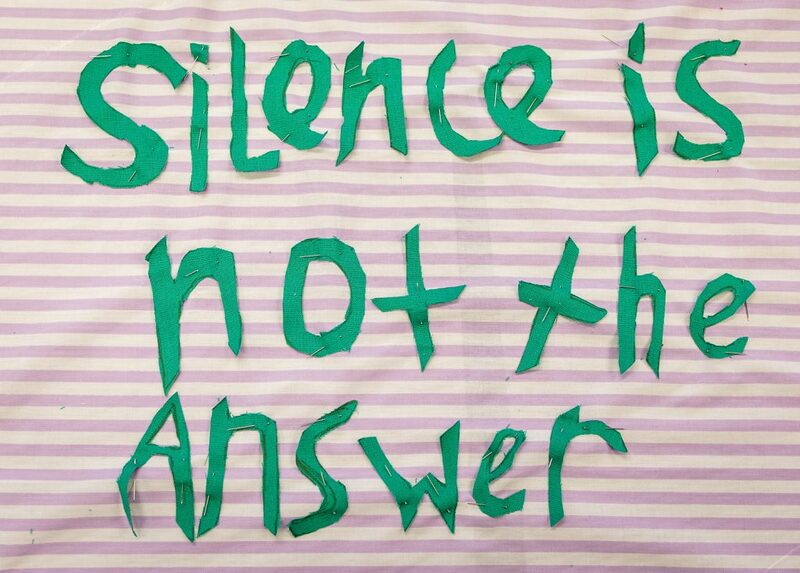 This project not only shared the celebratory history amongst students but also empowered their voices as future citizens through practising and delivering the protest in a creative form. 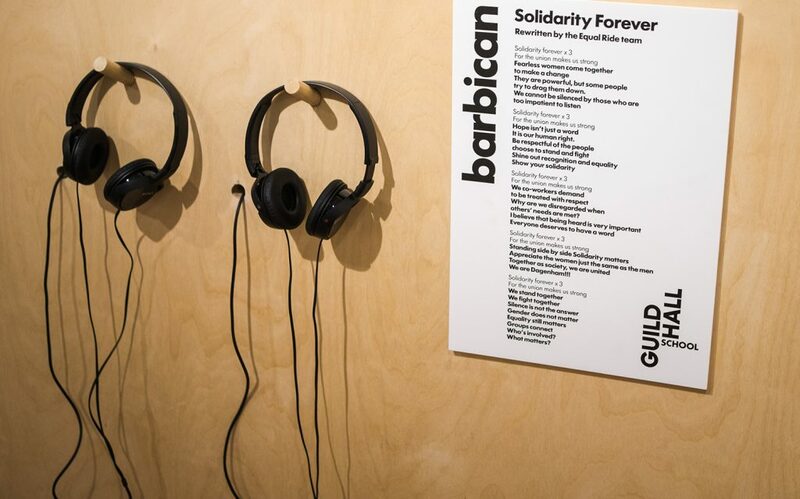 As part of Barbican Centre’s outreach educational project ‘ChangeMakers’, the outcome of the commission was exhibited in Valence House Museum (2018/9). *Dagenham Strike (1968) was the first UK strike claiming women’s equal pay. 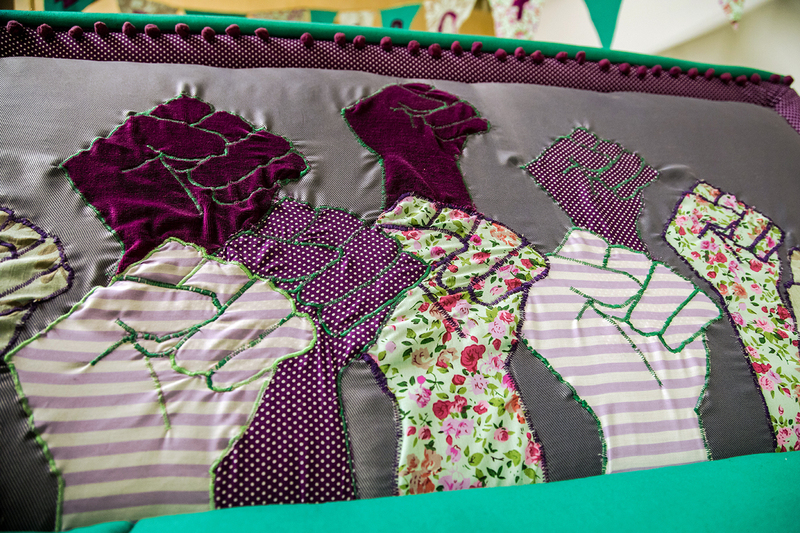 It was staged by 187 seamstresses who worked in the Ford Factory and this small number of women stopped the whole manufacturing line where 55,000 labourers were stationed, leading the government intervention in discussing fair pay between men and women.